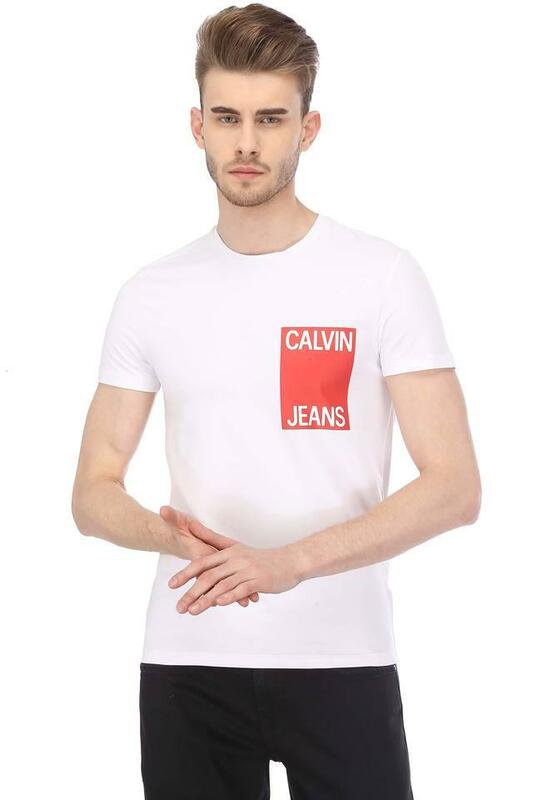 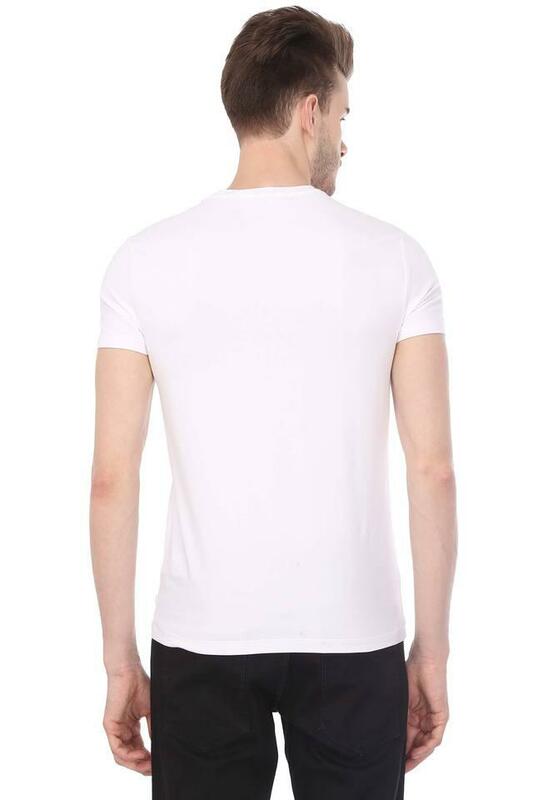 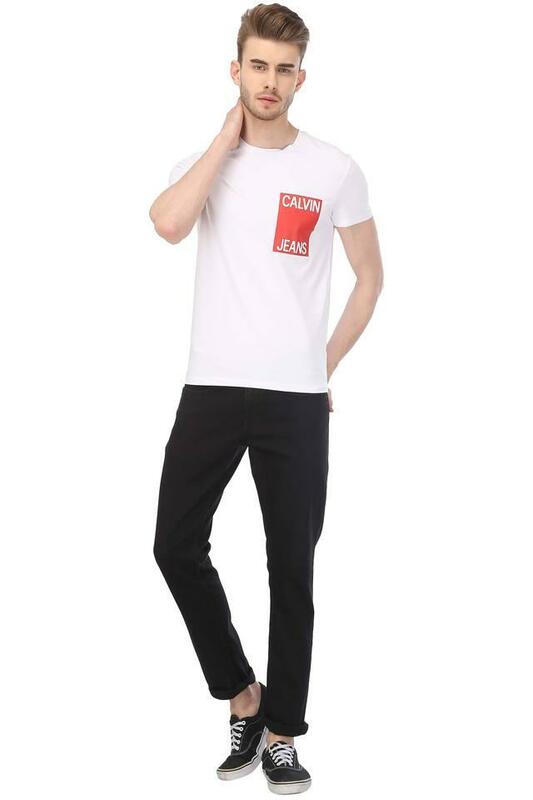 Add versatility to your collection with this t-shirt from Calvin Klein Jeans. Made from good quality fabric, this graphic print t-shirt fits your figure so perfectly that you will love it instantly. It has a classic round neck and a hard-to-miss graphic print pattern on it. Keep your casual look simple yet stylish as you wear this t-shirt. 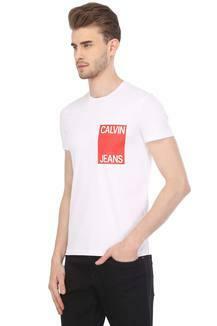 It can easily go with light coloured jeans, and a pair of leather shoes will be added hint of glamour to this t-shirt.